Disclosure: This is a sponsored post. 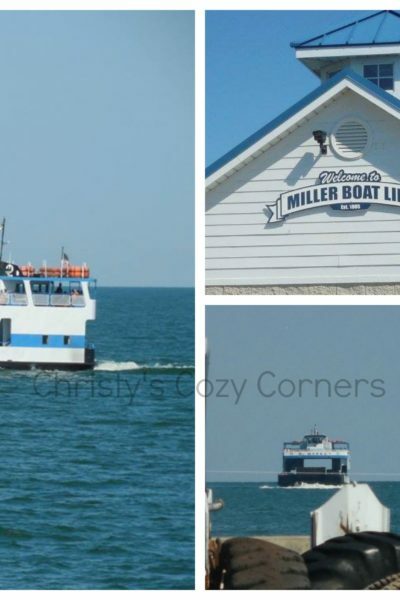 I received free tickets to Put-in-Bay on Miller Ferry in order to facilitate a review. I also received free samples of Waterpura which are included in this post. All opinions are my own and may differ from yours. This is the third year I’ve been to Put-in-Bay aboard the Miller Ferry, and I can honestly say they are the best! 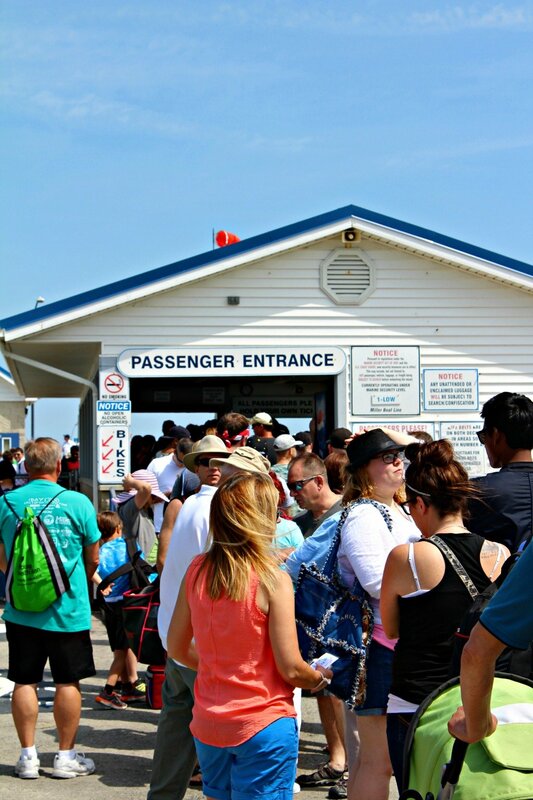 Not only are they the least expensive way to get to Put-in-Bay, but they are also hassle-free. 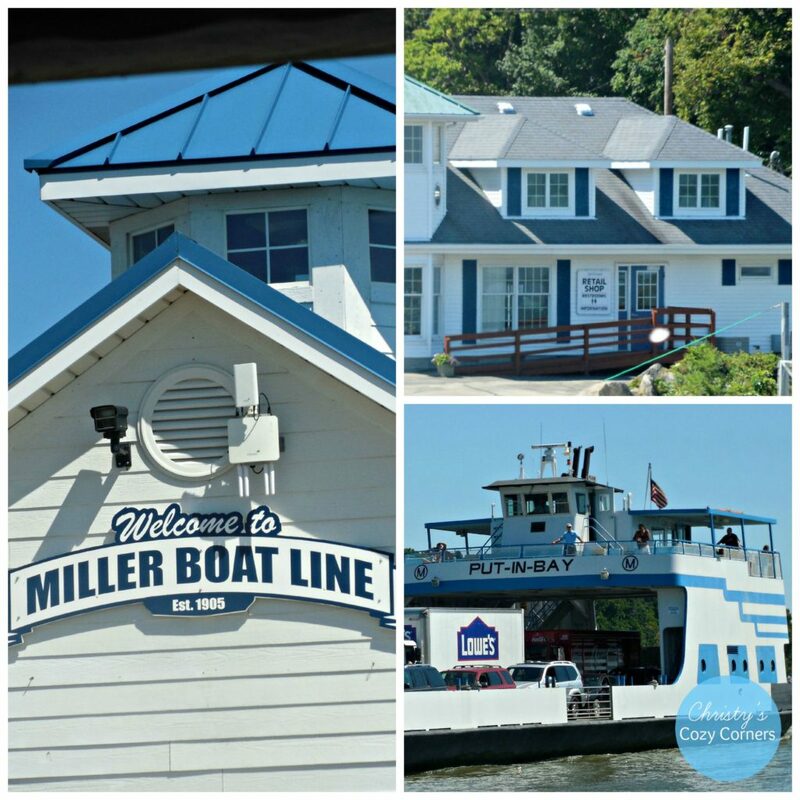 Getting cars and riders loaded and unloaded in an efficient and fast manner can’t be easy, but the people at Miller Ferry make it seem that way. I know when it is hot outside, the faster you can get aboard, the better! I don’t know anyone who loves to stand in line. The fact that even when the lines are long, they move quickly is a plus. 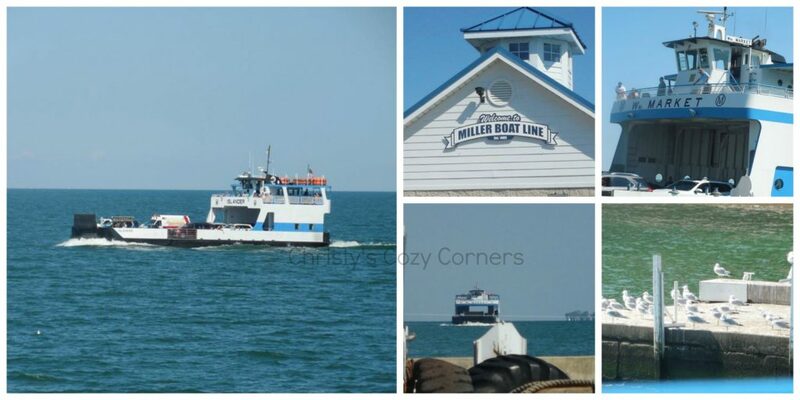 That’s thanks to the amazing people who work for Miller Ferry. You don’t have to spend money to have fun while you’re on the island. If you take your bikes to the island, you won’t even have to pay for transportation, but that can be difficult if you have children or want to take a lot with you. 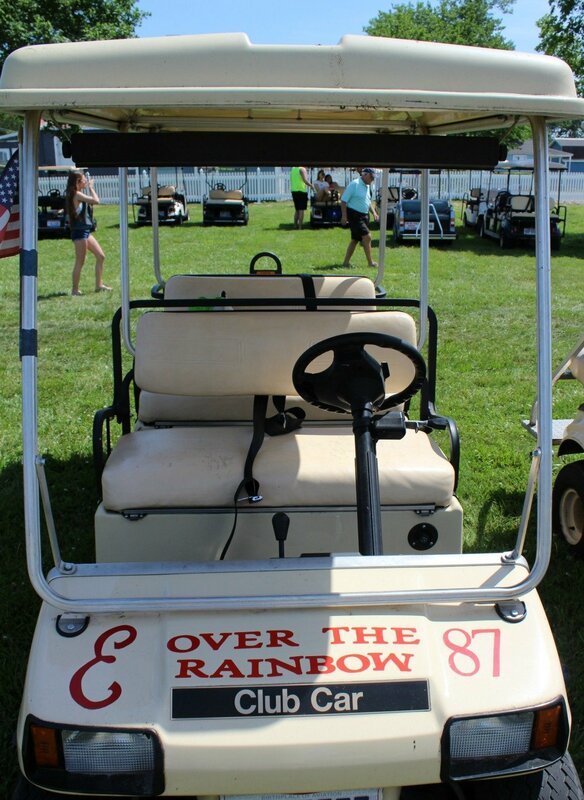 I suggest you rent a golf cart from E’s Put-in-Bay Golf Carts. They are really economical and make getting around very easy. I definitely recommend reserving one ahead of time since they do run out on busy days. 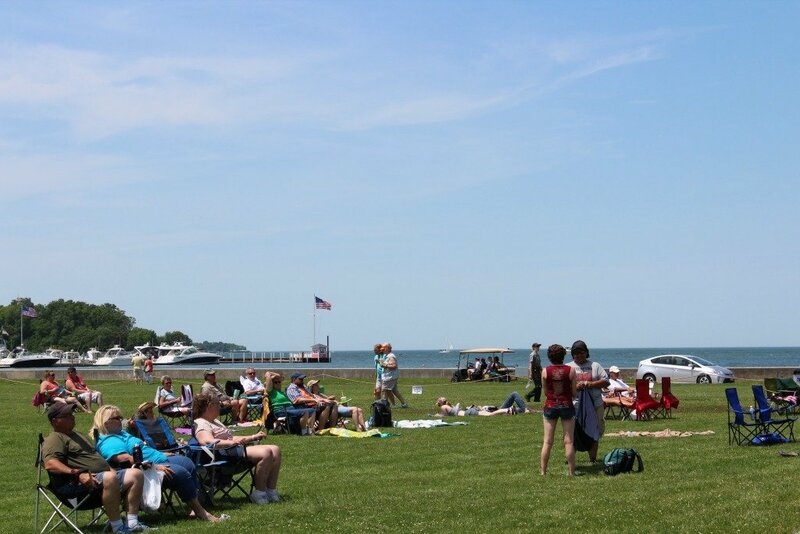 The day we visited this year, the first annual Put-in-Bay Music Festival (JUNE 8, 2019 12:00 PM – 7:00 PM 2019 will be the 3rd annual music festival) was held on the lawn by Perry’s Victory and International Peace Memorial. 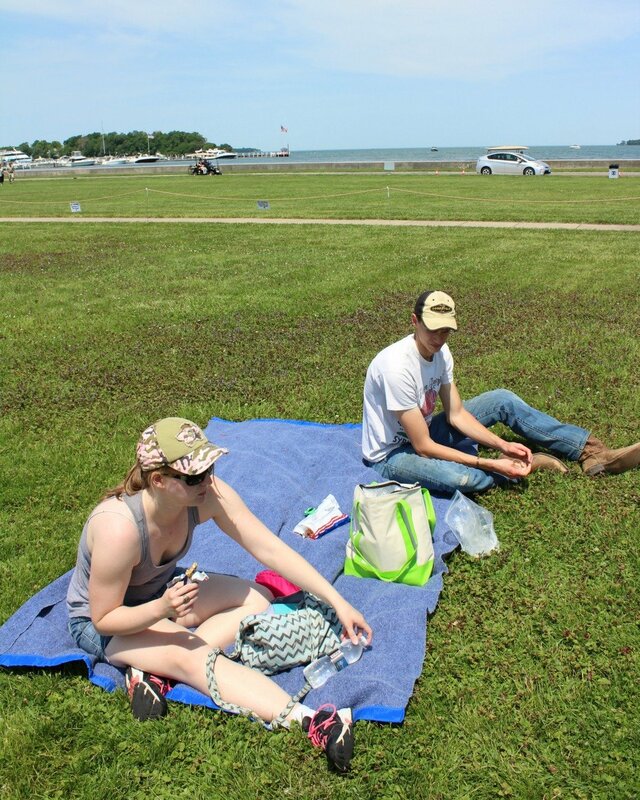 It was a nice, sunny day, so I packed a picnic lunch for us to eat on the lawn. I also packed Waterpura (now known as Bets & Emy) which are great for babies AND big kids. You know your hands are going to get sticky or messy when you eat outside, so taking along these wipes is a super idea. Though they are made for baby bottoms, I love using them as a hand wipe. I love these because they are made with only 2 ingredients: 99.9% water and 0.1% citrus extract. My daughter has always had super sensitive skin, so these are still perfect for her. I also made sure to pack a book because I’m always reading! It is a great way to just relax and spend part of your day. 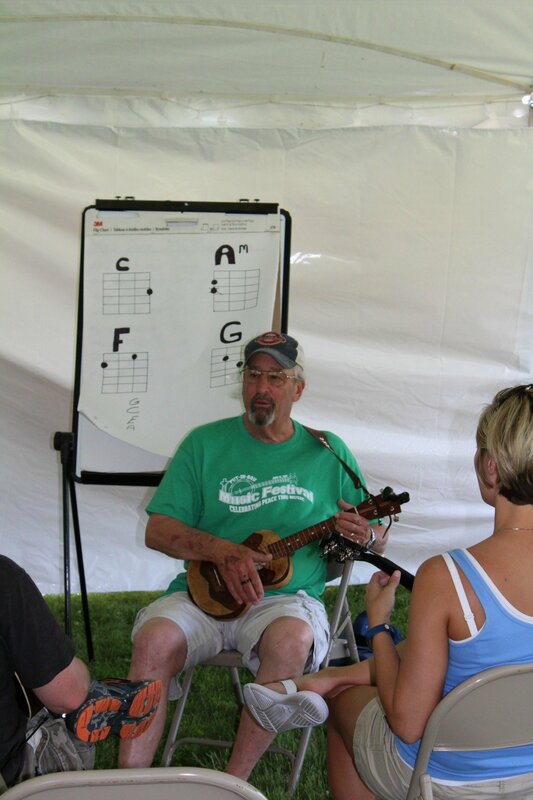 The music at the festival was great, so I do hope that this first annual event does become annual! The bands were amazing with such talented musicians. 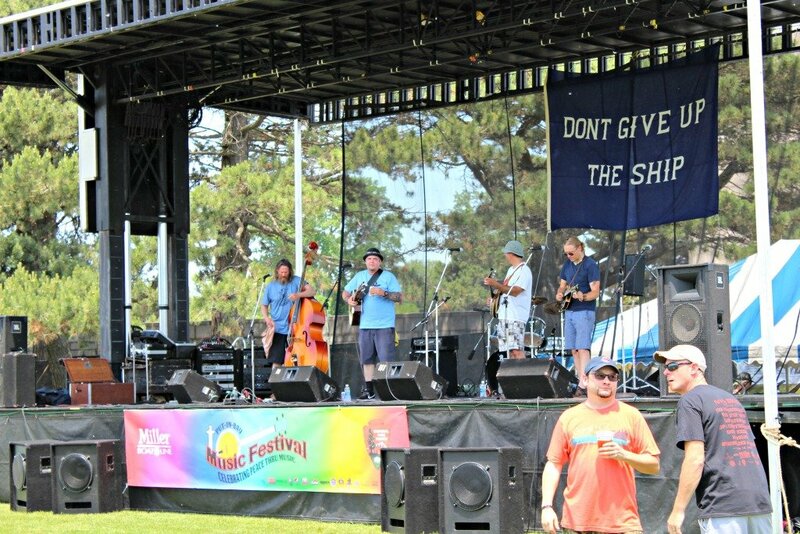 The festival also had free lawn games for both kids and adults, free music workshops, a Guitar Hero contest, corn hole contest, and drinks and food for sale. Sometimes it is just fun to kind of go with the flow when you’re on a day trip. 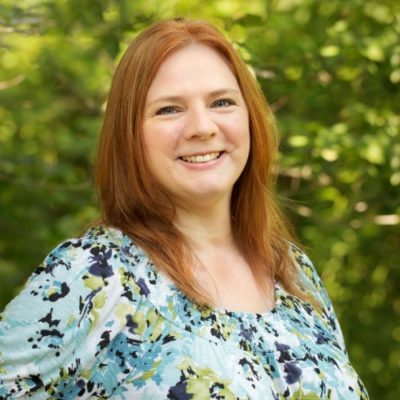 Over planning can get overwhelming! We didn’t plan anything except the music festival, so it was a go-with-the-flow day. After listening to music for a while, my kids and I decided to walk around town and down by the lake. Photo op! It is beautiful, and there are fun shops to look in (and shop in!) while you are walking around. I finally bought a PIB sticker for my car! I hadn’t really had time to shop around on previous trips since I had other things to review while there. 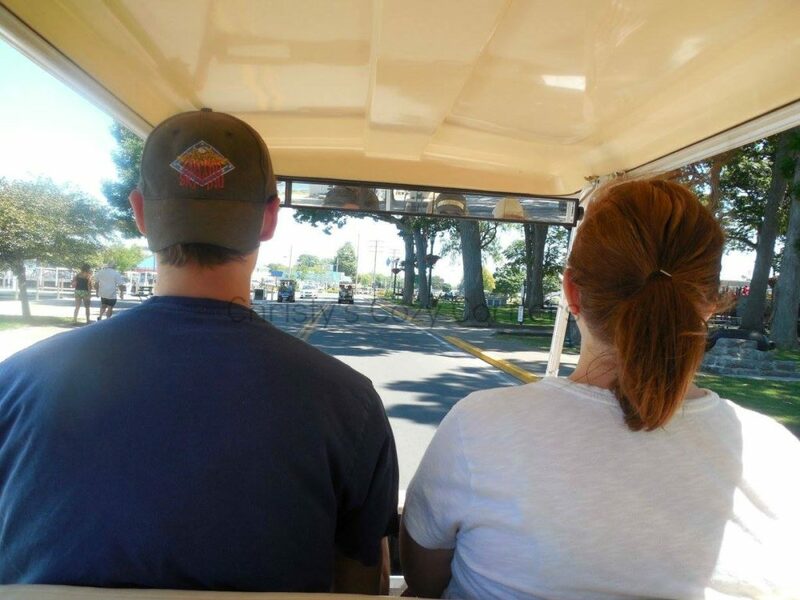 We also drove around in the golf cart to explore the island. There’s never been time for that! I saw some very cool houses on the lake that I’d love to live in during the summer. Winter…not so much! 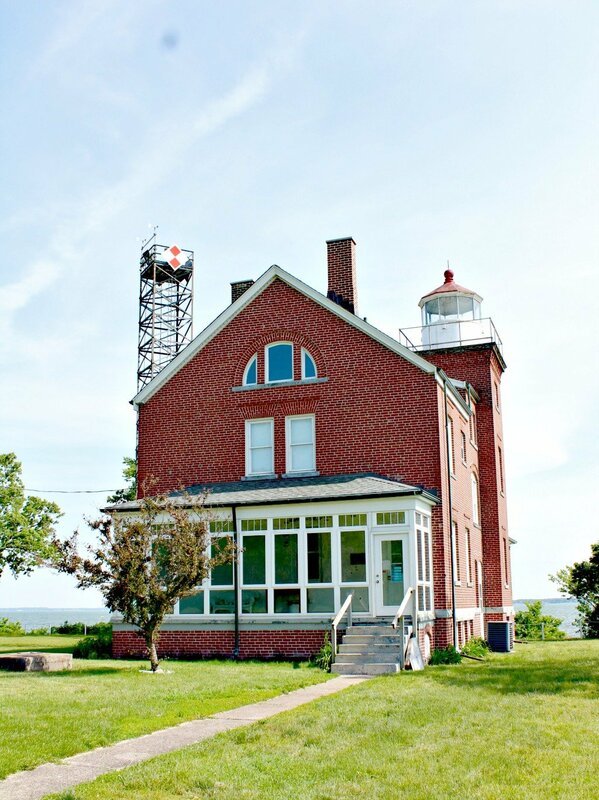 We found the lighthouse and a couple of snakes hiding out…. 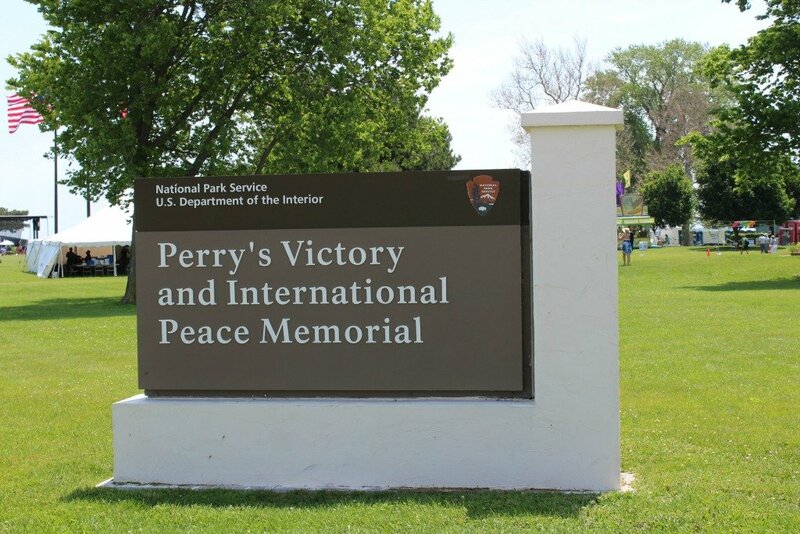 It is also free to visit Perry’s Victory & International Peace Memorial. There is so much information available on this historic battle. You can watch a very informational short film if you don’t want to read all of the signs. Many of the events on the island are free as well. 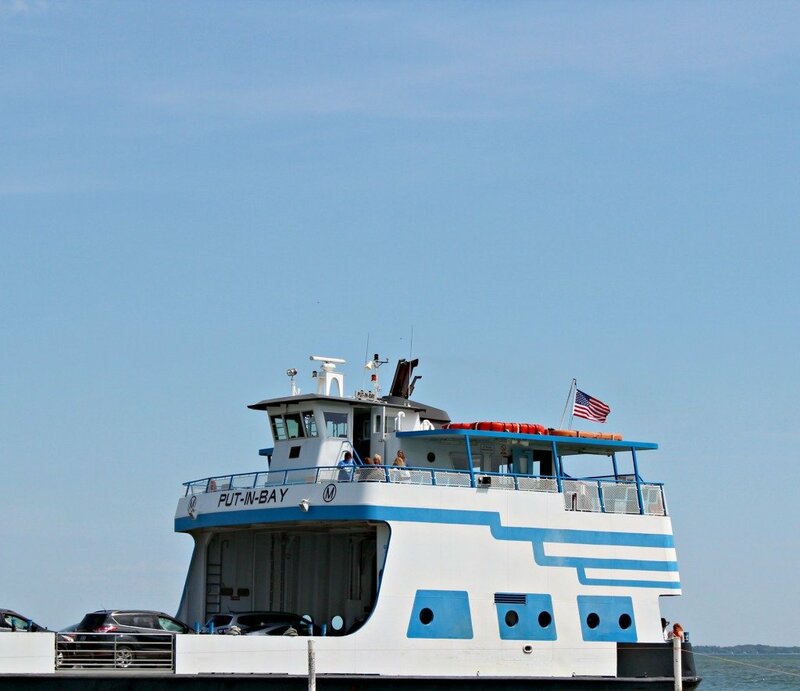 No matter what you decide to do when you visit Put-in-Bay, be sure to get there with Miller Ferry! Disclosure: Perry’s Cave provided my family with complimentary combo passes in order to facilitate this review. All opinions are honest, my own, and may differ from yours. Spending the day with your family on Put-in-Bay wouldn’t be complete without a trip to Perry’s Cave and Family Fun Center! 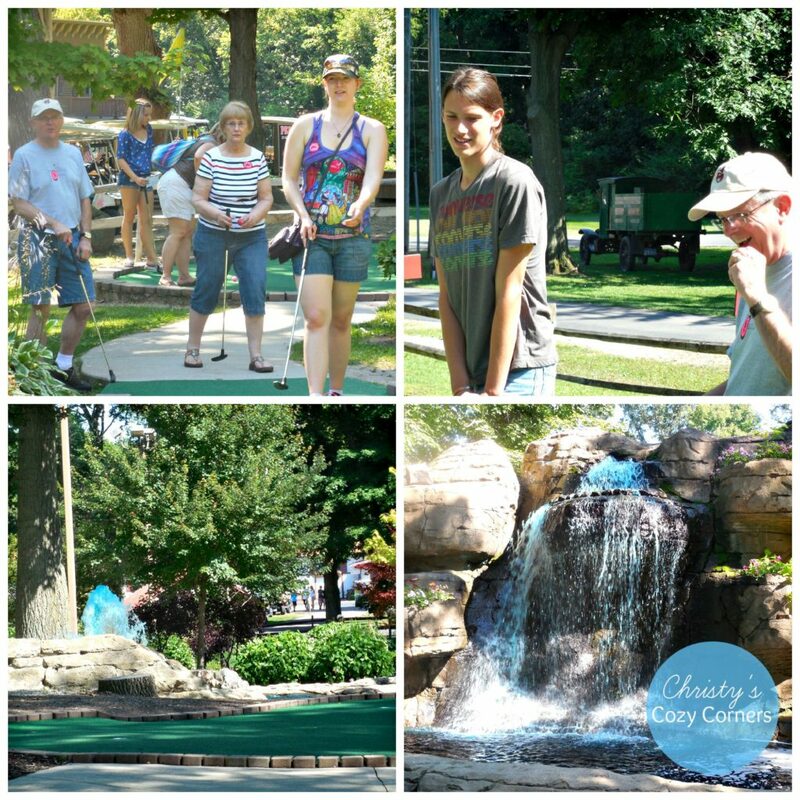 Perry’s Family Fun Center consists of five attractions: Perry’s Cave, Butterfly House, War of 18 Holes Miniature Golf, Fort aMaze’n, and Rock Wall. 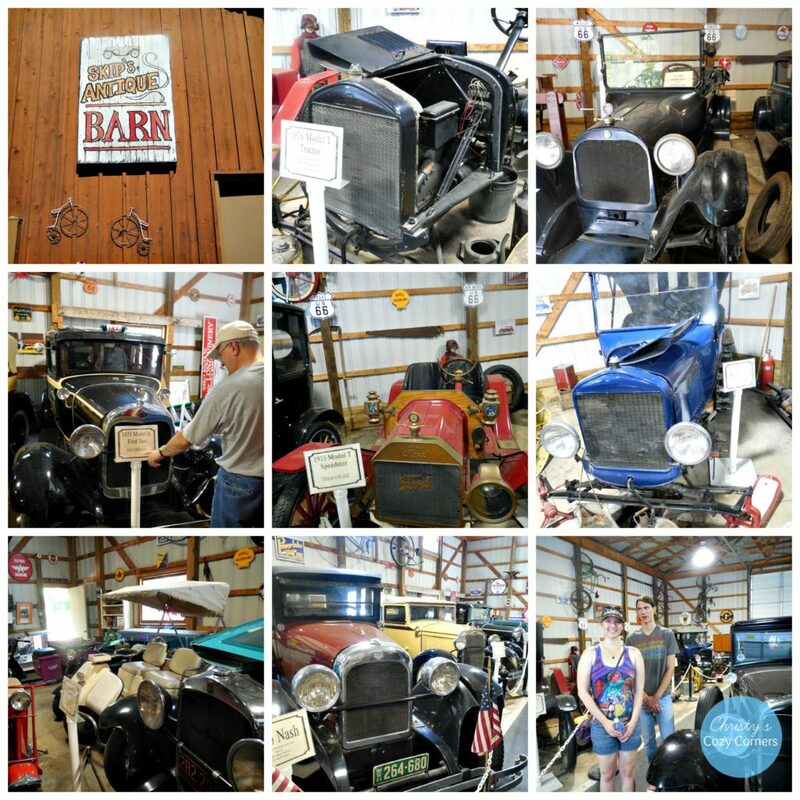 There is also an Antique Car Museum which is absolutely free to visit! 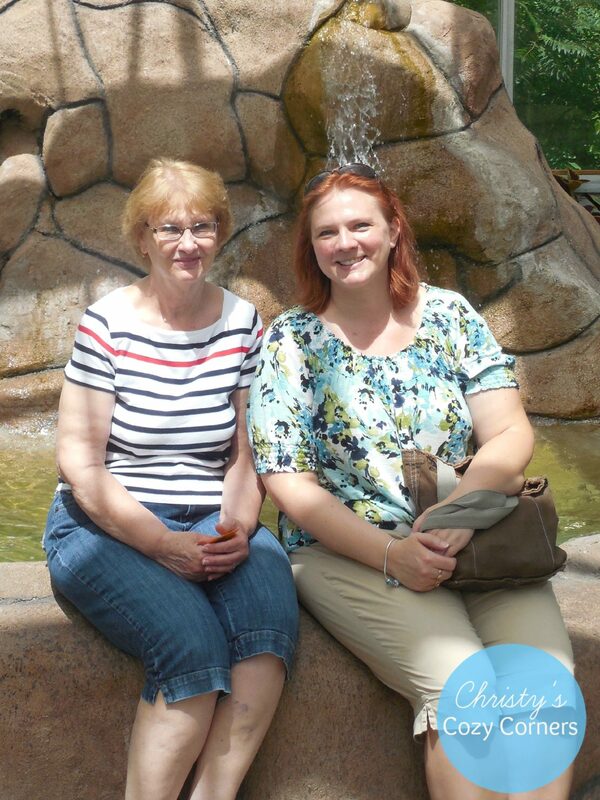 Perry’s Cave in Put-in-Bay was such a fun place for us to visit. The above picture shows the rock climbing! We saw some people doing that as we were leaving. It does look like fun! You can mine for gemstones by purchasing geodes or gemstone bags in the gift shop. 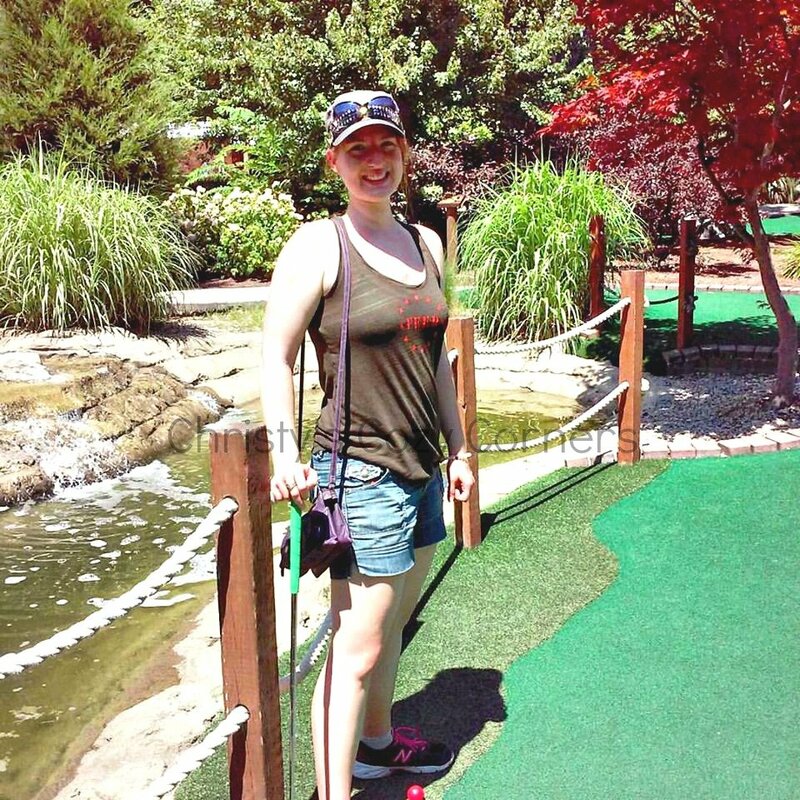 Though we aren’t the best at mini golf, it sure is fun to play! The War of 18 Holes Miniature Golf at Perry’s Cave in Put-in-Bay is not too difficult of a course, so even your little ones will enjoy playing! Even though it is not too hard, I still did pretty badly! Oh well. 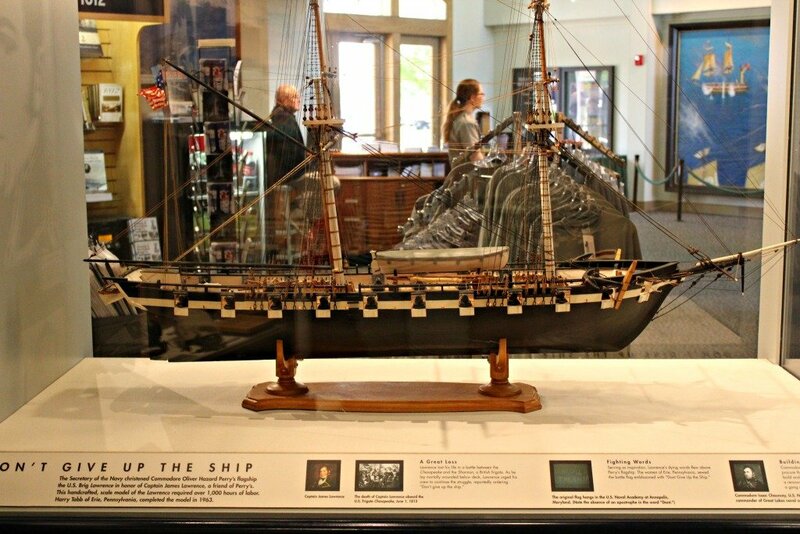 Along the way you can learn historical facts about the War of 1812 and Commodore Oliver Hazard Perry’s role in the victory of the Battle of Lake Erie. 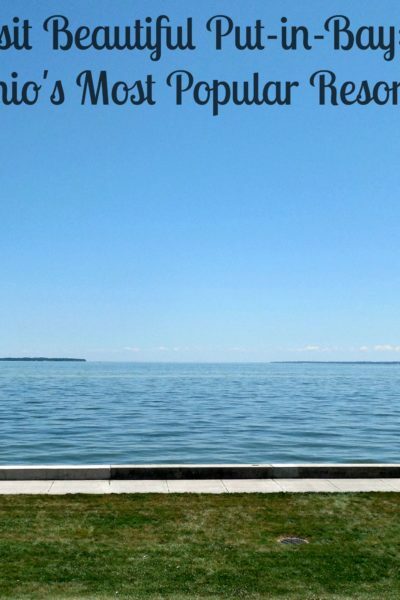 Be sure you get to Perry’s Cave when you are on Put-in-Bay! 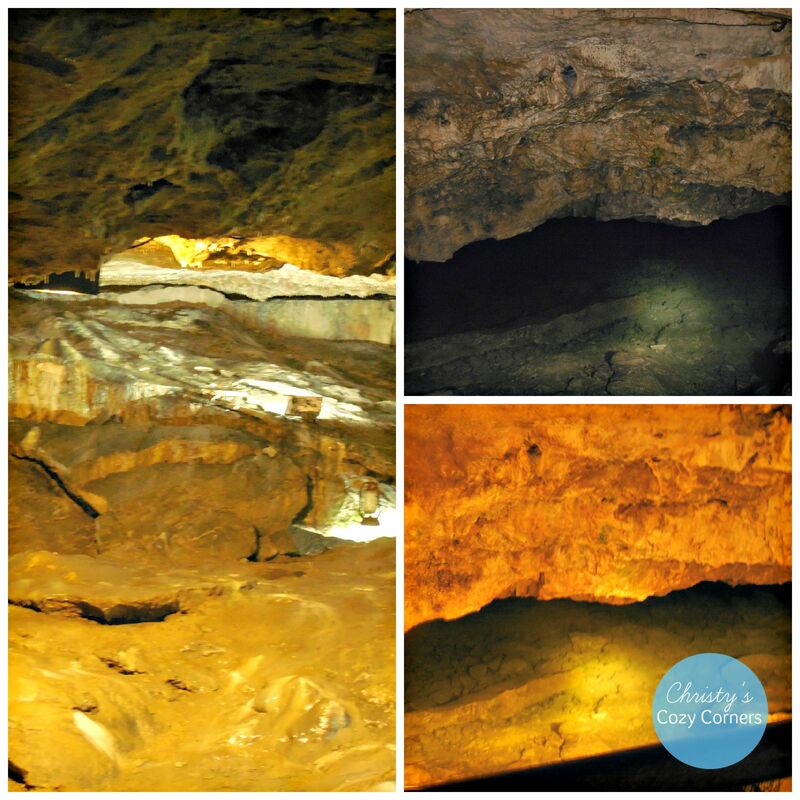 It is registered as an Ohio Natural Landmark and is a natural limestone cave with an interesting history. Commodore Oliver Perry and his men are said to have survived in the cave by drinking the fresh water. Prior, they had only had the lake water to drink. 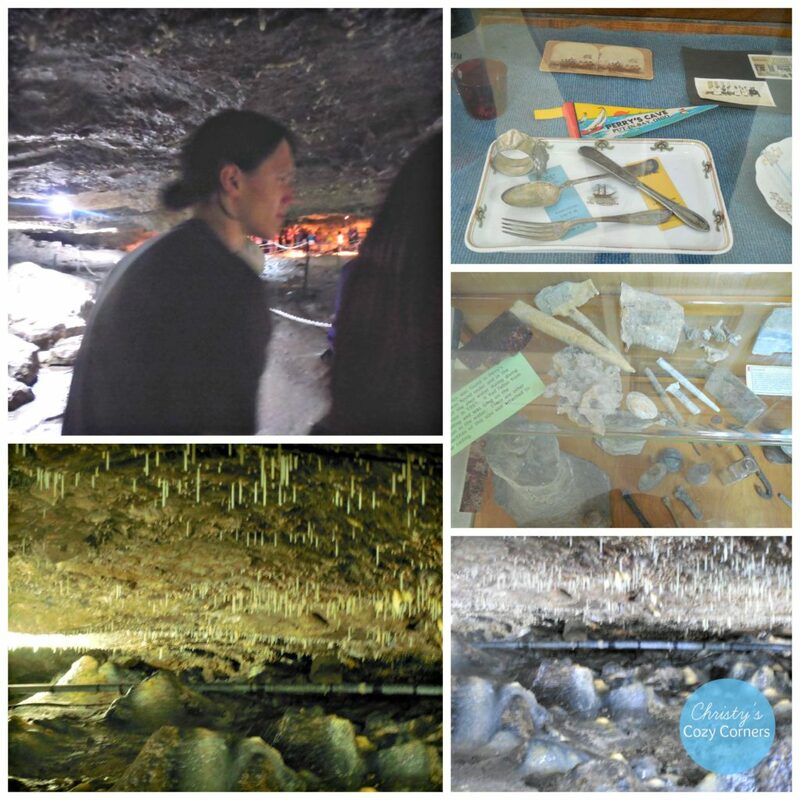 There are stalactites and stalagmites in this cave, but don’t touch them! The oils in your hands will damage them. Be sure to wear rubber soled shoes because it is wet in the cave. There are places where we had to duck…especially my 6’5″ son! 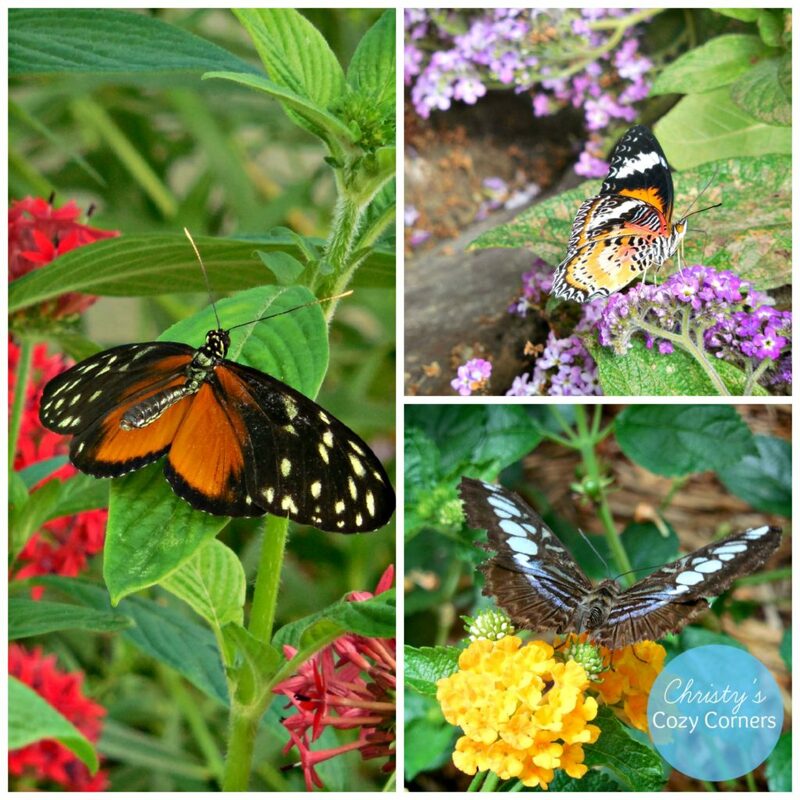 The Butterfly House is such a cool place to visit. When my son was little we visited one and he was NOT happy with the butterflies all over him. He’s 17 now, so it’s all good 🙂 The butterflies are beautiful! 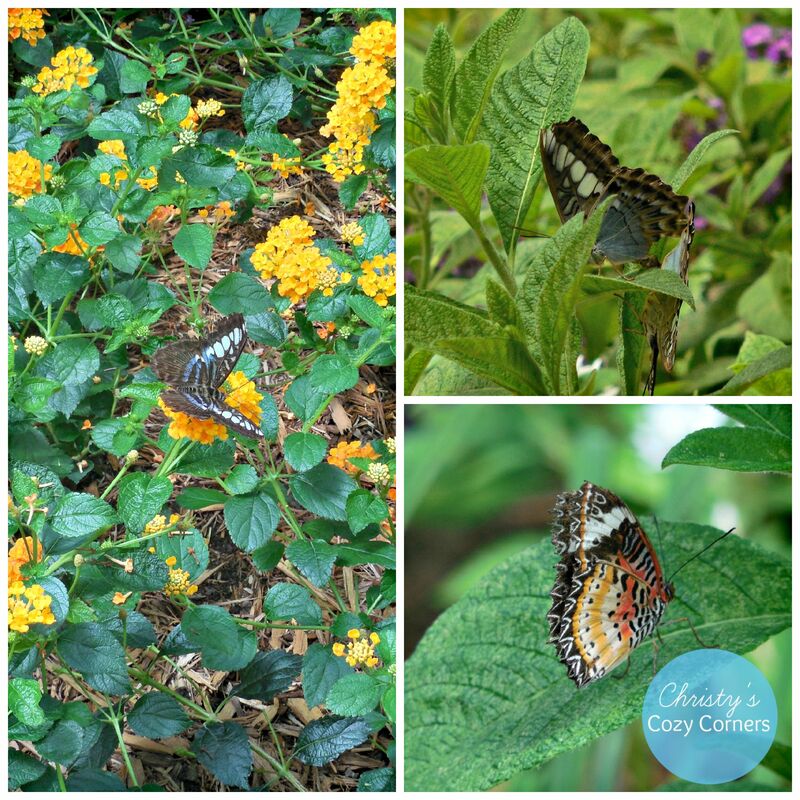 There are 50 types of butterflies in the Butterfly House, and you can see all of them in this butterfly identification chart. My mom and I needed a little rest while the butterflies flitted about. 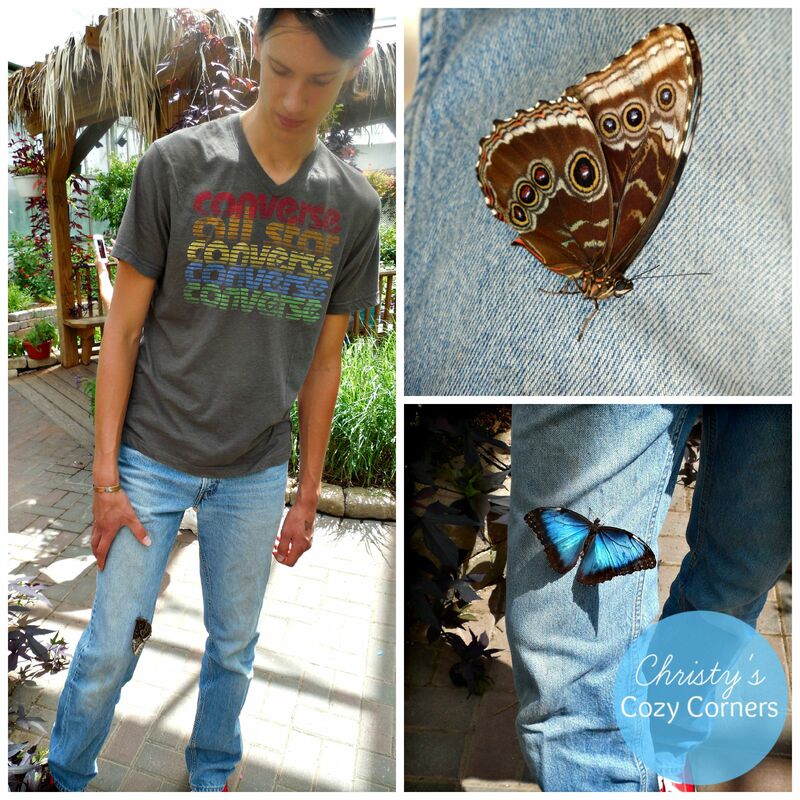 One of the butterflies decided to hitchhike on my son for about 5 minutes! Just be sure none of the butterflies hitchhike on you when you leave! 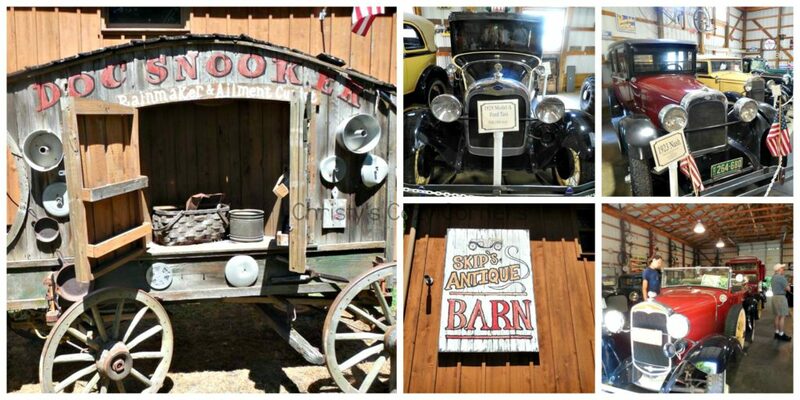 You can see the island’s oldest cars at the free Antique Car Museum! Be sure you read all of the information about the cars when you visit. The information there is really interesting! 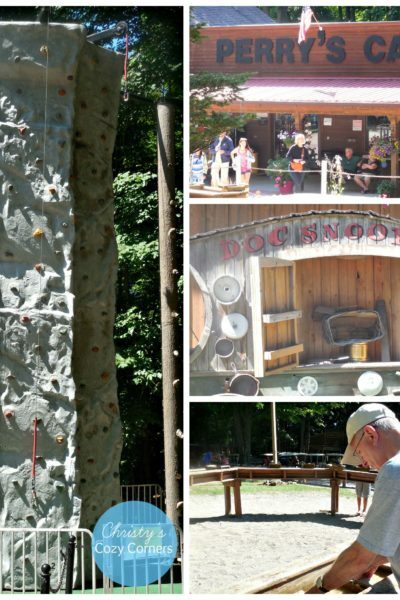 Be sure you make the time to visit Perry’s Family Fun Center when you’re on Put-in-Bay! Individual attraction prices are also available online at Perry’s Cave’s website. 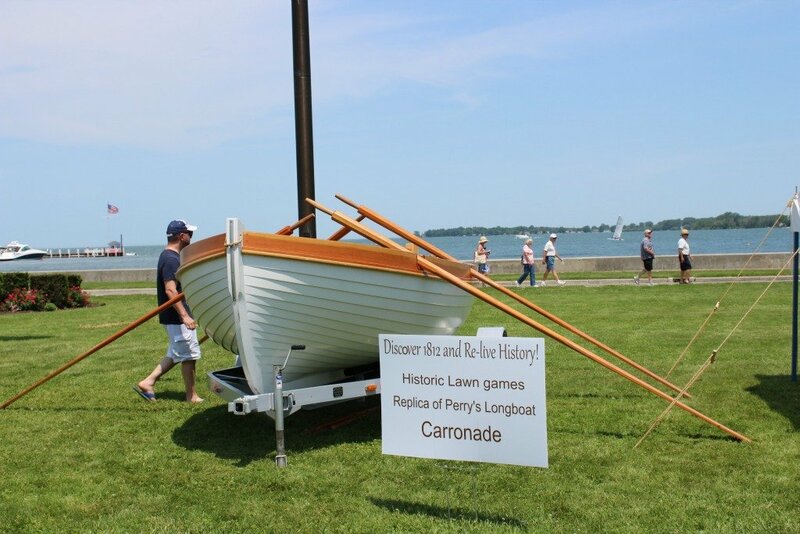 Want to know more about Put-in-Bay? Check out my other posts! 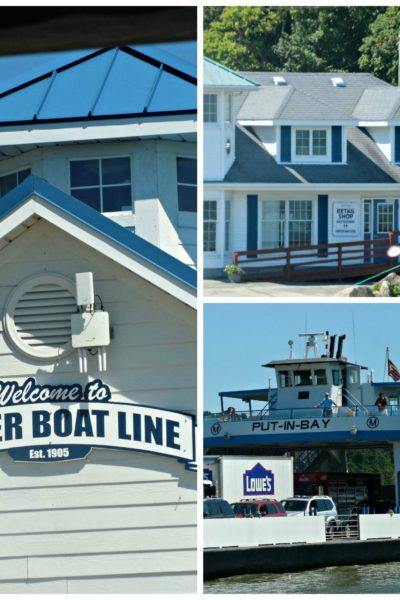 Put-in-Bay has activities and events for your entire family to enjoy. There are so many places to stay and eat on the island, that I am sure you’ll have no trouble finding the perfect spots! 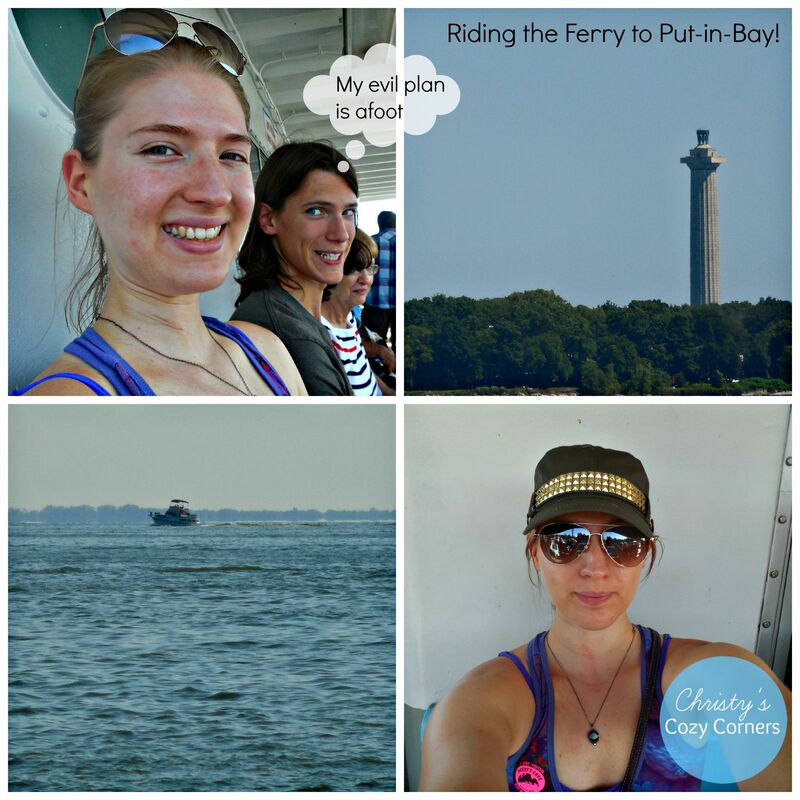 We did not spend the night on Put-in-Bay since we needed to be home for something the next day, but I would love to sometime! 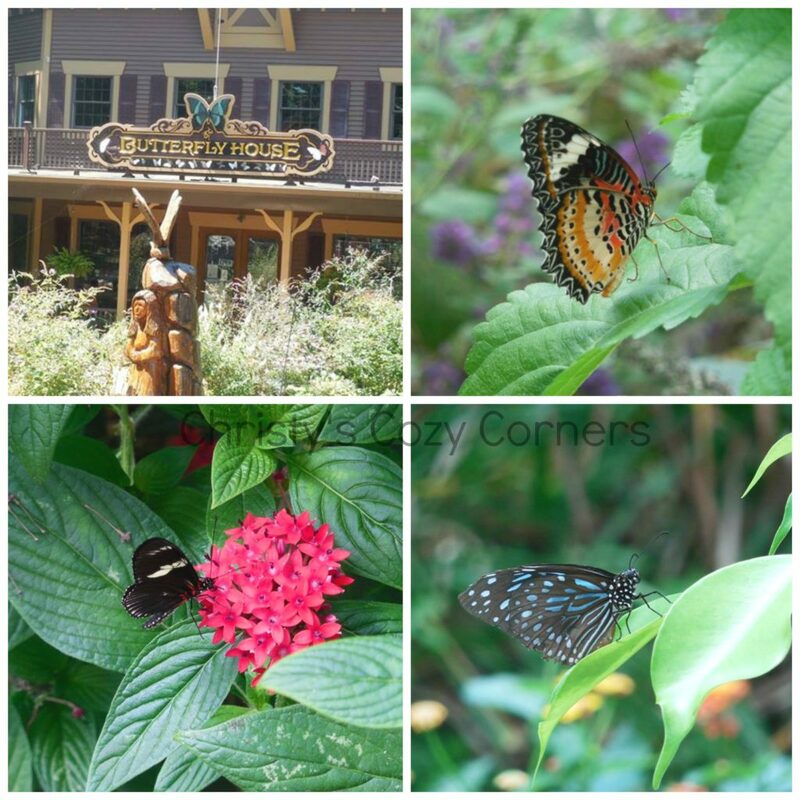 I got a recommendation from a lady at The Butterfly House for a hotel. She said her family stays at The Bird’s Nest Resort when they come to visit her, and they really like it. I haven’t seen it, so I don’t know for sure! We ate at Pasquale’s when we were there, and it was delicious! We took a couple of pictures, but they were after we were already eating and…well, not too attractive lol. But trust me, it was yummy! 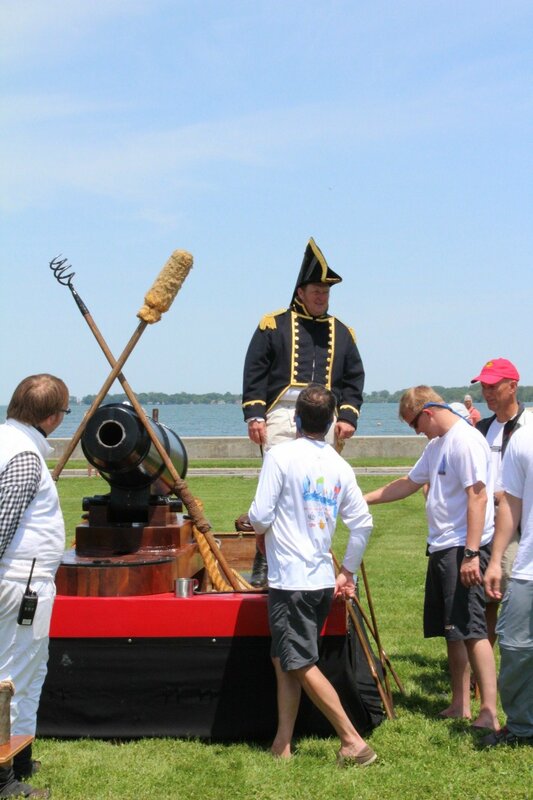 Put-in-Bay island played a part in the War of 1812. 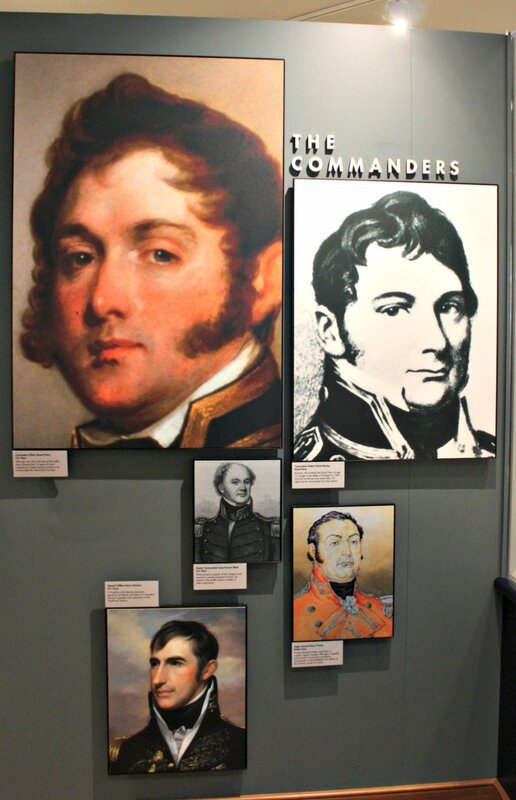 Commodore Oliver Hazard Perry and the men who died in the Battle of Lake Erie. 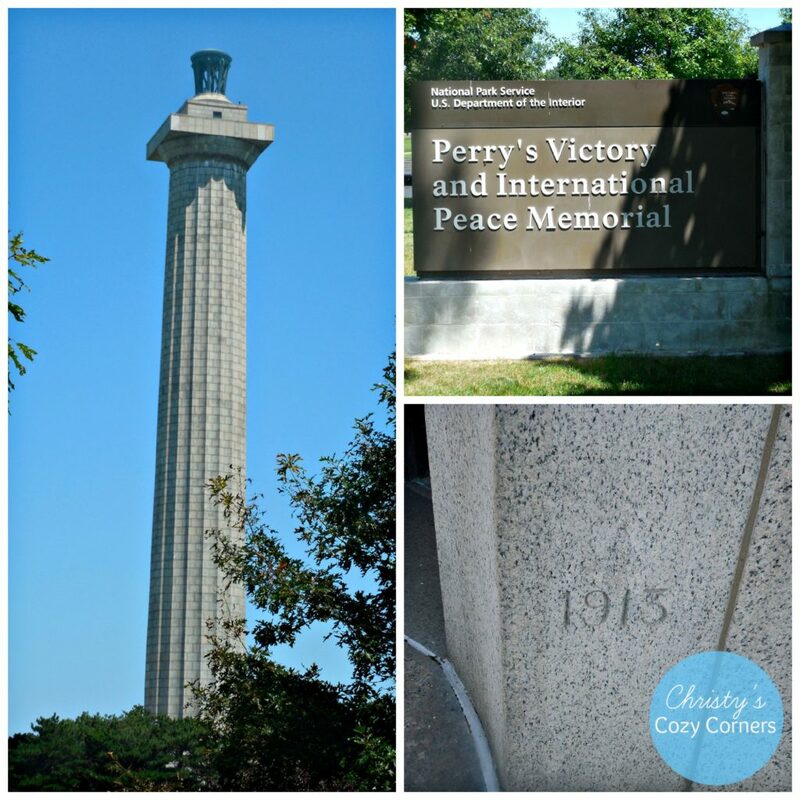 If you like history, you can read more here: Perry’s Victory & International Peace Memorial. 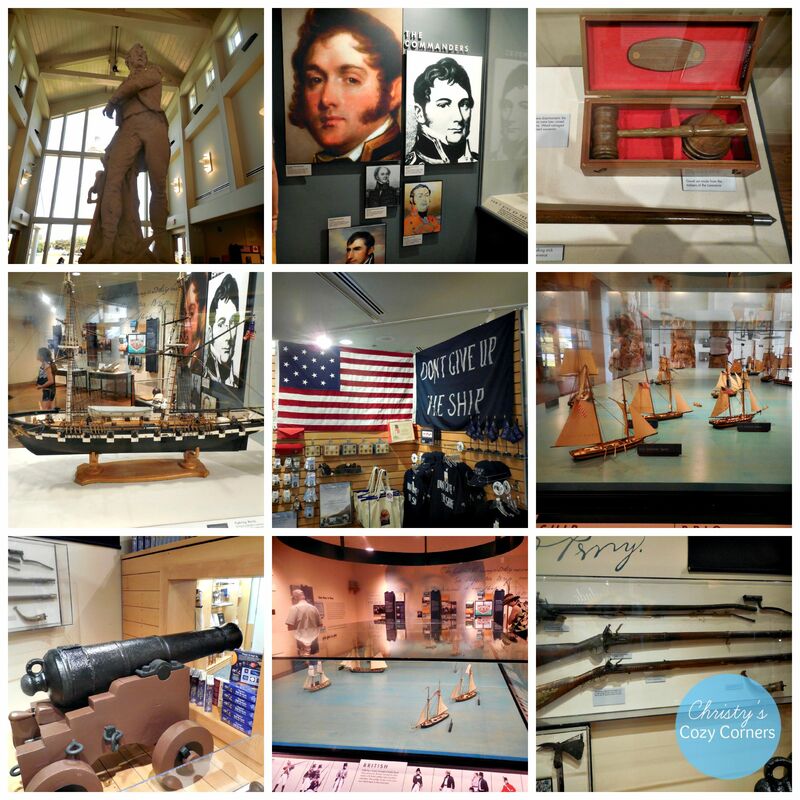 See my other Put-in-Bay posts!